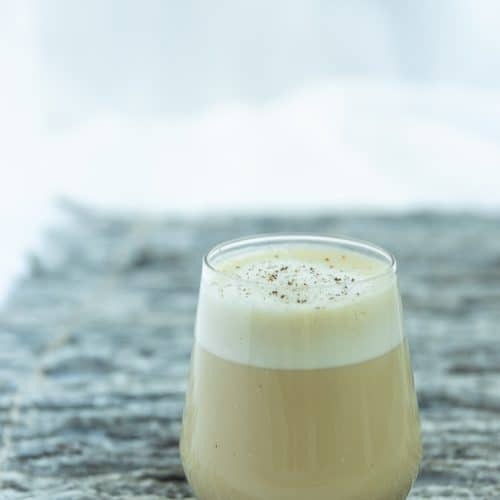 This may sound like the oddest combination on the planet, but you won’t believe how perfect this egg cocktail is until you’ve had it after a delicious dinner and you start to cozy up my the fire. 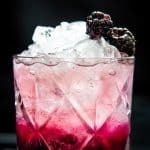 This cocktail screams winter and is the perfect sip to enjoy this weekend. 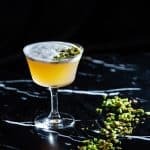 With a surprising combination of Cachaca Rum, Apple Brandy and Cardamom bitters, this cocktail flip may become your new favourite dessert. Lets first address something that seems obvious to me, but wasn’t the case 2 years ago, and that’s the question of ‘WHAT IS A FLIP?’. The traditional Flip, as per the Imbibe! book by David Wondrich is a combination of ale, eggs and rum. Seeing as this was my first time attempting a flip, I wanted to keep this cocktail fairly light and easy on the palate. The Imbibe book by David Wondrich came in very handy for my first attempt, as they mentioned a traditional Sherry Flip recipe. 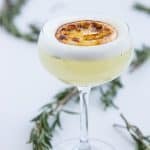 I had debated whether I would use the whole egg or just the egg yolk for this imbibe, because you’ll find many examples in cocktail books and recipes online that switch between both. With a ton of research done and experimenting with both styles, I preferred the whole egg for this particular imbibe. Now I know many people (especially those new to the beverage scene) can get weirded out when mixing with eggs. If this is something you have NEVER tried, even by a professional, well I would save it for the professional. Talk to your bartender and ask questions (kinda like the commercials where you ‘Talk to your doctor first before prescribing’. Ask for some direction and some guidance so you can feel completely confident when you attempt this at home. I have to say that I’ve worked with eggs long enough to feel VERY confident that with the right safety measures, no one will get sick. Now I could go on a rant about egg safety, but Difford’s Guide to Eggs does a pretty thorough job covering the basics, so make sure to check out the link attached for more info! 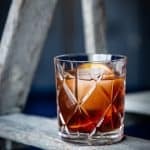 Enough about egg safety and Flip history and let’s get to the cocktail! You may be wondering why I chose Cachaca. Well if you can remember, Cachaca is a Brazilian RUM. I wanted to go with a lighter styled Flip, which lead me to experiment with Cachaca. I don’t tend to have a ton of Sherry in the house because of its “short” shelf life, and there’s nothing I hate more than oxidized spirits and having to toss it out. So I opted out of the traditional Sherry Flip recipe to create my own unique blend. That’s where the Death and Co Cocktail Book came into play. With a bit of guidance on how they structure their flips, I knew I wanted to infuse some Apple with this cocktail. I have to be honest, I’M NOT in love with the Apple Brandy I used. I just haven’t had a ton of examples that I truly love, so I won’t tell you what to use here. BUT, I’d love to hear your suggestions on Apple Brandy (preferably accessible to Ontario) by leaving a comment below! Obviously I knew that Apple and Cardamom would be best friends here, so I threw in some bitters with a demerara syrup. I don’t typically use demerara syrup, but it became crucial for this cocktail. Most of my recipes will use the generic simple syrup recipe that’s a 1:1 ratio. For this cocktail though, I switched things up and I’m glad I did. 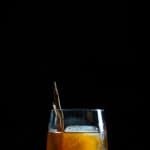 For the demerara syrup, use a 2:1 ratio so that you have a rich syrup (2 parts demerara sugar: 1 part boiled water). With this syrup in hand, don’t be surprised if you see a few more tropical cocktails on my feed. For my very first attempt at a Flip, I was pleasantly surprised. The flavours all came out beautifully, and it got me ready to cozy up by the couch. I hope you love it as much as I did. Cheers everyone! 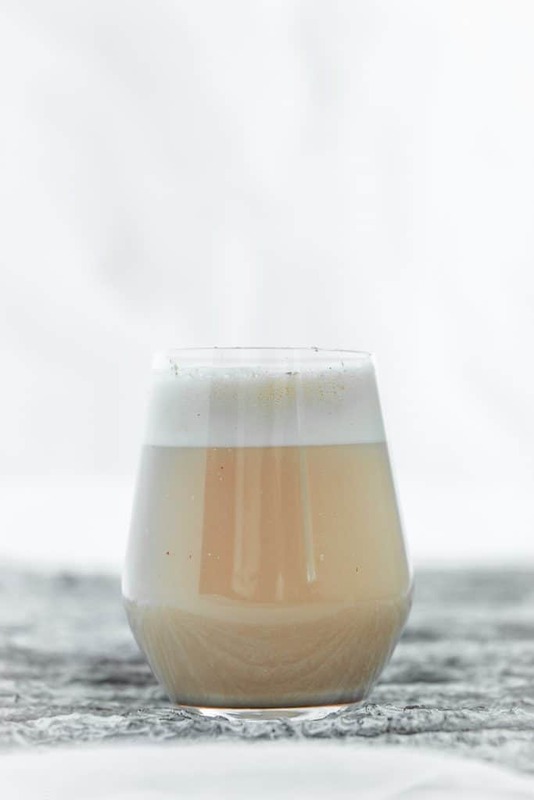 This outstanding Flip cocktail, uses 1 whole egg with Cachaca rum, Apple Brandy and Cardamom bitters for the perfect evening sip. A rich and velvety serve! In a shaker, combine all ingredients and dry shake (without ice!) vigorously. Note the Demerara Syrup is a 2:1 ratio to create a nice, rich syrup.